A set of four teak chairs designed by Kai Kristiansen and manufactured by Magnus Olesen in Denmark in the 1960s. 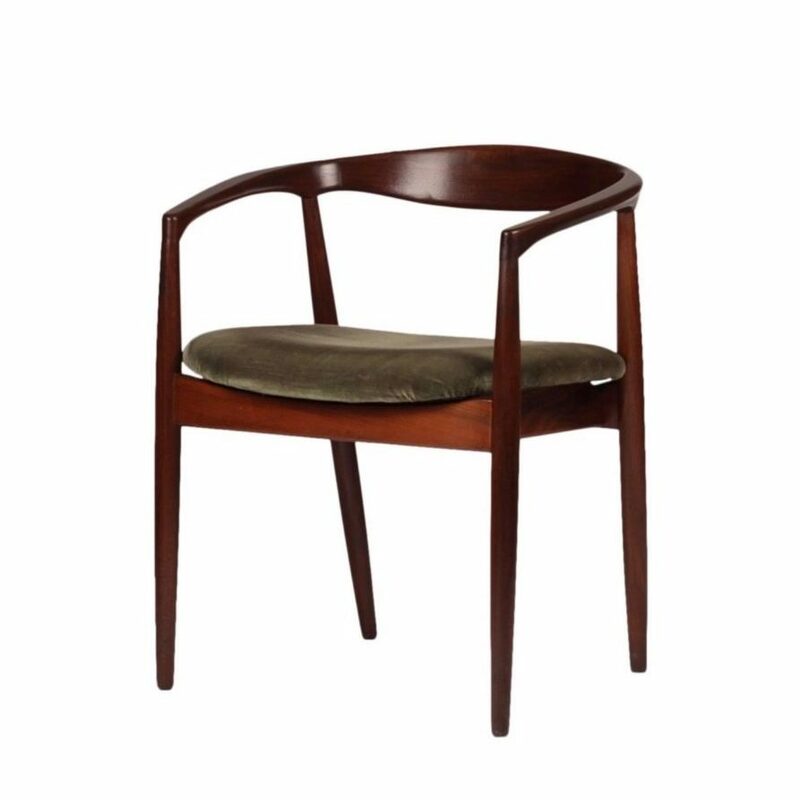 The arms of this curved, round back chair bear similarities to the Paper Knife chair also by Kai Kristiansen. This model is the Troja and is offered in excellent condition. The seat comes with original upholstery and as such can only be sold as a work of art. We can also quote for reupholstery in leather or your choice of fabrics should you require. Minimum price for the offer must be greater than 2648.1% of the Product. Designed in 1960 for the reception areas of the Time-Life building in New York by Charles & Ray Eames. A British-made and designed reclining lounge chair by Greaves and Thomas of Mayfair produced, circa 1960s. With beautiful curved solid Afrormosia (African Teak) arms and angled legs, this chair has recently been reupholstered in an Italian velvet. Set of Four Dining Chairs by Rainer Daumiller for Hirtshals Sawmill.